As we reported on Tuesday, Orange Walk businessman Rawell Pelayo has been deported to Belize, following twenty-one months of detention inside a U.S. holding cell after entering a plea bargain to secure his release. The former F.F.B. 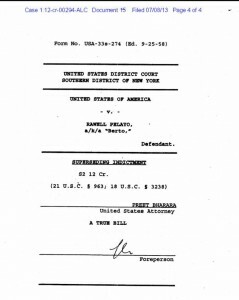 executive was indicted in absentia in April 2012 before a grand jury in the Southern District of New York. 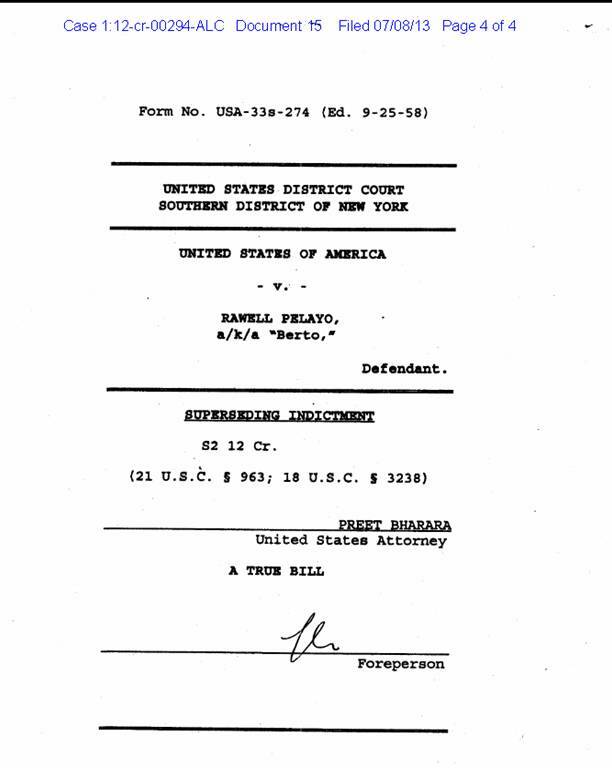 In the case of the United States of America versus Rawell ‘Berto’ Pelayo, he was charged with a single count of violating the narcotics law after intentionally and knowingly agreeing to violate the statutes by conspiring to import into the country five kilograms of cocaine. The arraignment was endorsed by United States Attorney Preet Bharara on April twelfth, 2012, a little over a year before he was nabbed at the George W. Bush International Airport in Houston, Texas. Pelayo, along with other executives from the Football Federation of Belize, was traveling to the United States to attend the 2013 Gold Cup when he was taken into custody. As a result of his indictment, Pelayo was ordered to forfeit to the United States any and all property constituting or derived from any proceeds obtained from the transaction. The F.F.B. has maintained that Pelayo was carrying financial documents of the F.F.B. when he was nabbed in Houston.